We have a point! From small acorns do big playoff pushes grow. Hopefully. Vancouver Whitecaps finished March with a draw against Seattle Sounders. We look back at the match, hear from both head coaches, and look at some of the ‘Caps news from both heading into the game and coming out of it. Plus our feature interview this week is a chat with Spanish midfielder, and new ‘Caps captain, Jon Erice. 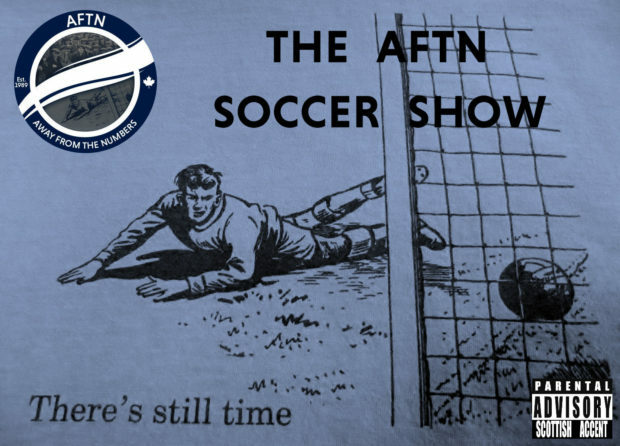 Plus in a packed show we kick off our season long homage to the ‘Caps historic 1979 NASL Soccer Bowl win on the anniversary weekend of that year’s season opener. We look back at what was happening that weekend, the game against Dallas Tornado, and dig into our vaults to bring you an interview we had with the wonderful Willie Johnston back in 2014. Plus we look at the weekend’s action in the MLS West and it’s a special double Frank Sidebottom Wavelength this week to celebrate the release of the documentary film honouring his life, Being Frank.